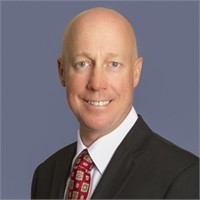 Dale T. Woodring | Financial Council, Inc.
Dale specializes in helping clients achieve their financial goals through a highly personalized and detailed financial planning practice. He is passionate about relationships and believes that knowing and understanding his clients are the most important aspects of his work with them. He holds a degree in economics from The Pennsylvania State University and a Master of Divinity with Eastern Baptist Theological Seminary. A CERTIFIED FINANCIAL PLANNER™ Practitioner, he joined FCI in 1994. He is a frequent speaker in churches and other Christian organizations, helping to educate the Christian community about financial management. He holds FINRA Series 6, 62, 63, and 65 securities registrations as a Registered Representative and Investment Adviser Representative of Commonwealth Financial Network, Member FINRA and a Registered Investment Adviser. Dale is an Endurance Athlete, having completed over 40 marathons and 6 full Ironman triathlons to date. He is also active in church ministry, helping to lead a church plant in Belcamp, MD. He lives in Harford County with his wife Lisa, an elementary school teacher, and daughter Megan, a student at The University of Delaware. Rounding out the Woodring clan are their high-energy Labrador Retriever Shiloh and their Tabby Cat, Elsa, who thinks everyone and everything belongs to her!